A sampling of press materials may be previewed below. 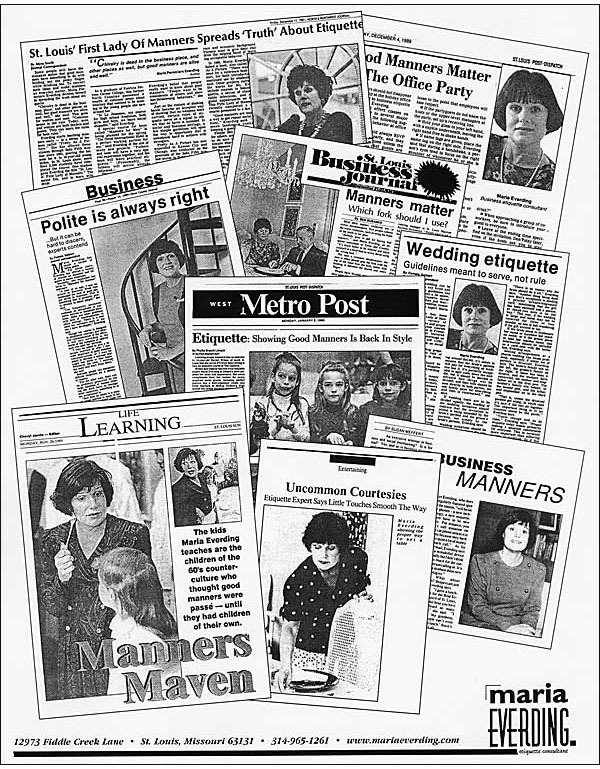 Maria Everding, St. Louis’ First Lady of Manners, joins the FM NewsTalk 97.1 Allman in the Morning show for a pre-holiday etiquette lesson! 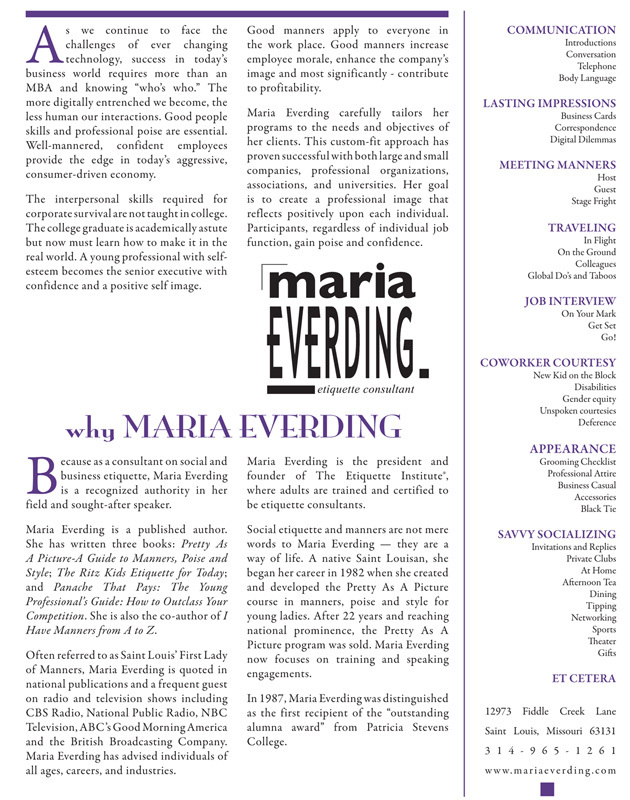 “Great Day St. Louis” etiquette segment with Maria Everding. “We’re going to dinner with an etiquette expert who’s giving us the dos and don’ts of dining out.” Originally aired February 8, 2011; segment reproduced here with permission. 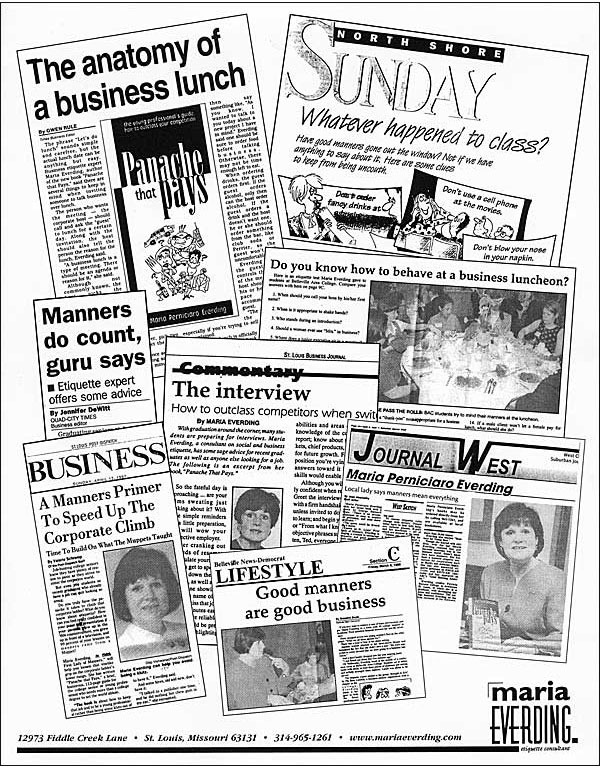 “Mind Your Manners” etiquette segments with Maria Everding on KSDK TV-5 (St. Louis, MO). Originally aired December 27, 2011; segments reproduced here with permission. Good Morning America Interview with Maria Everding. Originally aired February 13, 1997.